The Texas state government just ended 2013 with an $8.8 billion revenue surplus. The state runs on a two-year budget cycle, and during that time natural gas produced $2.6 billion in state taxes and oil production contributed $4.4 billion in tax revenue – a 42% and 80% increase in revenues from the previous two-year cycle! For those of us who lived through the “oil bust” in the 1980s, when prices fell like an asteroid because of an international surplus, it’s hard to fully fathom this second-coming of petroleum and its importance to our state. Oil went from $33 a barrel in the early 80s – when it was predicted to rise to $100 – to just $10 a barrel in the mid-80s. Today a barrel of oil generally sells between $90-110, or more, and that is what has made drilling in Texas profitable, again. Coupled with more efficient extraction methods, production of oil and gas in Texas can continue or even increase for years to come. 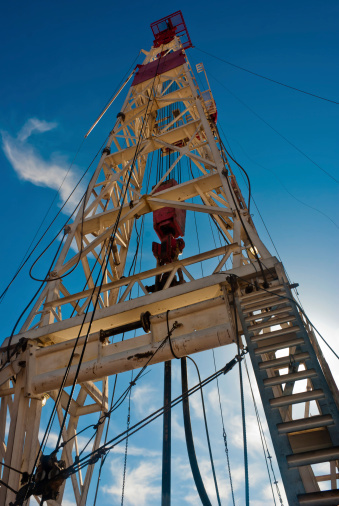 The Permian Basin has long been the center of Texas petroleum production, and is still a leader, but the Eagle Ford shale and Barnett shale formations are quickly catching up with both liquid and natural gas production. About $6.7 billion in royalties were paid out in 2010 (most recent data available) to private landowners in Texas. The number of jobs and amount of private wealth, for blue and white collar workers, that is being created is staggering. Oil and gas generated a total payroll of $48.7 billion in 2012 – an average of $128,100 per worker – nearly half of the total for the entire U.S. Last year, about 380,000 people in Texas were employed in the oil and gas industry, while the industry directly or indirectly affects about 2 million jobs. In fact, there are so many open jobs in the petrochemical field in Texas, oil and gas companies are running out of people to take the jobs. In the Houston/Gulf Coast area, Exxon is partnering with local community colleges to recruit and train job candidates. You’ll see more and more initiatives like this in coming years since the industry is adding about 30,000 jobs annually. More jobs, more tax revenue, more income, more personal wealth – that’s what the oil and gas industry has brought to Texas in the last few years. In fact, Texas is helping move the national conversation from “energy independence” to actually lifting the 40-year-old ban on exporting oil. It has been about 30 years since the bottom fell out of the petroleum market for Texans, but the industry has been fully resurrected – and the future looks even brighter.